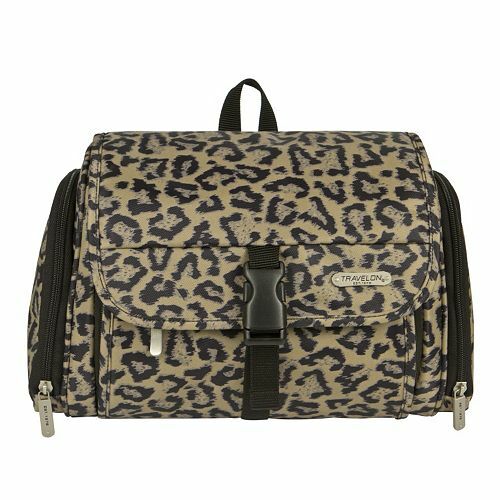 Travel with all your essential toiletries in an organized, stylish fashion with this Travelon Leopard print bag. Leopard animal print adds chic style. Hanging hook allows easy access to contents. Elastic loops hold bottles upright. Zippered pockets and compartments help with organization.